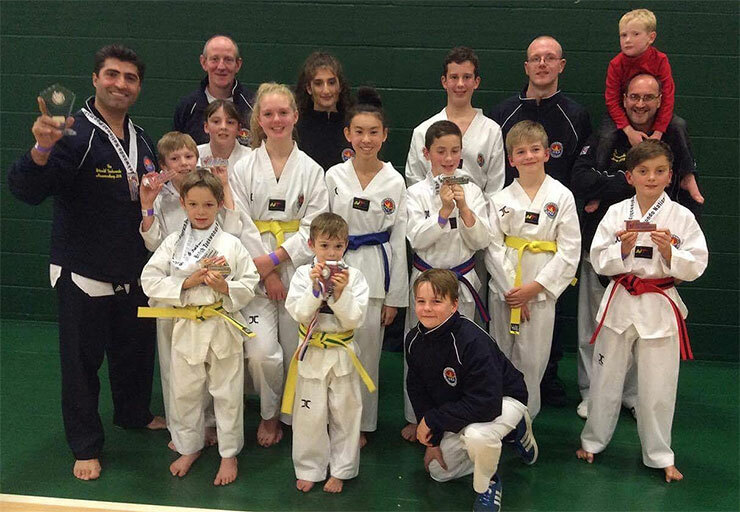 Harrogate K.R.Ali Taekwondo Academy is celebrating it’s major success at the Taekwondo Poomsae nationals held in Nottingham this weekend. Master Kambiz R.Ali, founder of Harrogate taekwondo acadamy, 3rd Dan black belt Ghazal R.Ali and 2nd Dan black belt Martin Squires offered their years of experience and support to Harrogate’s team of 18 players as they participated in the weekend’s competition held at the wildcats arena in Nottingham. Participating for team Harrogate was: Master Kambiz R. Ali, Ghazal R. Ali, Aaron Leith, Katherine Bennett, Miles Heslop, Tyler Heslop, Amelia Heslop, Evan Hill, Benjamin Arlet, Megan Smith, Oscar Pearson, Harry Muncaster, Jacob henderson, Satpal Hunjan, Dillon Smith, Samuel Street and Jade Holt all participating in their respective individual, pair and team Categories. Between them Team Harrogate were successful in securing an amazing 48 medals: 6 bronze, 12 silver and 30 Gold. 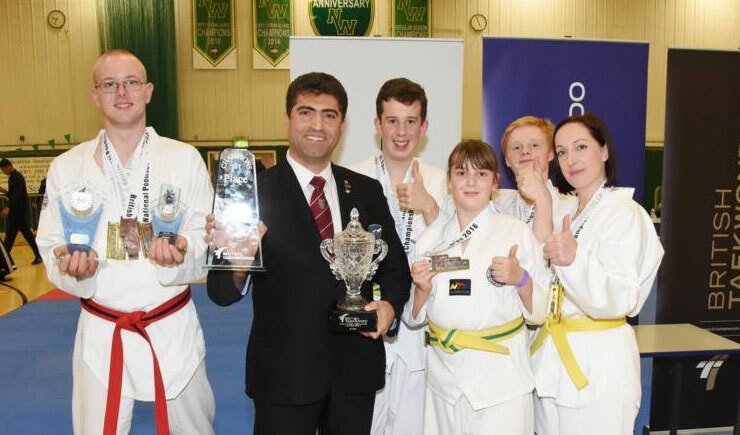 Team Harrogate was also awarded the GB Poomsae National Kup Grade Champions Trophy and the GB Poomsae Overall Team Champions Trophy, adding to an already very successful weekend. 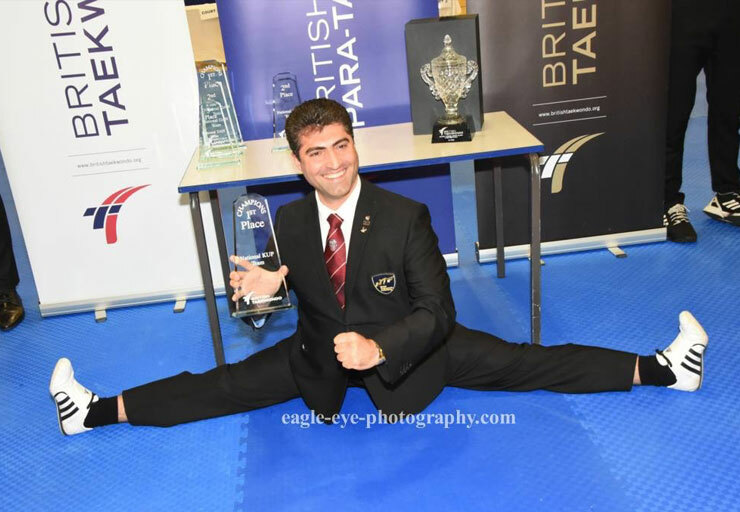 Master Ali had this to share: “This has been a very good competition for us. We have proven ourselves as champions and I am very very proud of my team. This has been a major step for many of students and only the first for some, so we have a lot to celebrate. I am very eager for our future competitions and am confident we will be successful based on our performance this weekend. Also, I want to give a Special thanks all the parents and family of our team who attended to give their support and to our press officer Andy Rowson of eagle eye photography who traveled all the way to Nottingham from Harrogate to capture our team’s success”. 07944988806 Or by email: kta.harrogate@yahoo.co.uk or visit our website at: www.harrogatetaekwondo.co.uk.